This men?s glove is made from durable heavy denier fabric, Hydrowick micro denier lining and has a 3 layer thermal ply that is waterproof, windproof, and has a breathable trim. 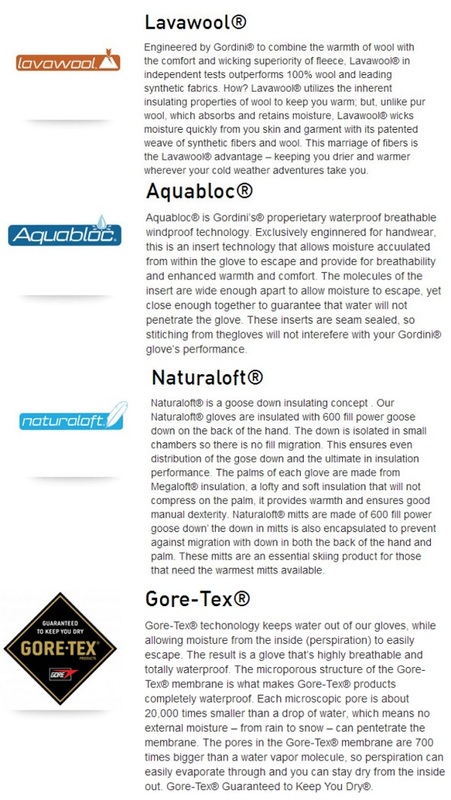 The Naturaloft insulation package has 600 fill power of 70% goose down and 30% waterfowl feathers all around the hand. 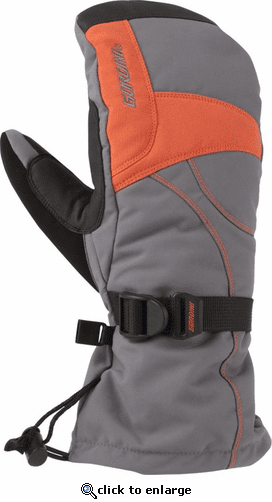 Durable heavy denier fabric with 3 layer thermal ply waterproof, windproof, breathable trim, dura-grip palm and thumb with stick-grip finger area, wrap cap, and reinforcement. Naturaloft® insulating concept: 600 fill power of 70% goose down 30% waterfowl feathers all around the hand, Hydrowick microdenier lining, with ultra breathable, waterproof, windproof Aquabloc ® insert. Aquabloc®, Naturaloft®, gauntlet cinch closure, wrap cap, palm and thumb reinforcement. Gordini has been in the outdoor business since 1956 and has been striving to create products to keep your body?s heat production and heat loss in perfect balance. Their team of winter sports enthusiasts based in Vermont and Canada will settle for nothing less than perfection when it comes to creating quality and functional products that combine proven natural materials with the latest in synthetic technology. The result is the best products to keep you warm and dry in the toughest conditions.